The Luzhin Defence (*Adult Themes*). Type: DVDS. Detail: GENERAL. Product Code: DVDTLD. 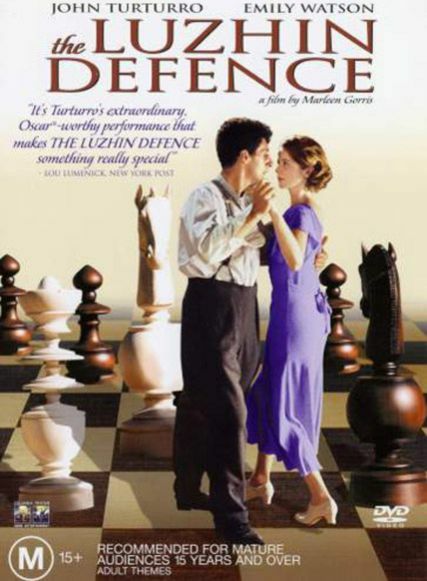 In the magnificent tradition of films like SHINE and A BEAUTIFUL MIND comes THE LUZHIN DEFENCE, based on famed author Vladimir Nabokovs tale of chess, love and madness. O BROTHER WHERE ART THOU? star John Turturro and RED DRAGONs Emily Watson deliver outstanding performances in this highly acclaimed motion picture that is profound, touching and utterly hypnotic (Stephen Hunter, WASHINGTON POST).